Whether you're climbing, bushwhacking, or simply trying to get chores done around the house, the Patagonia Tech Web Belt is a must-have for any outdoor enthusiast. 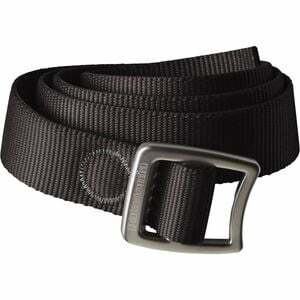 Made from extremely strong polyester webbing and featuring a forged aluminum buckle, this belt cinches tight for a reliable hold. It also doubles as a bottle opener at the end of a hot day.